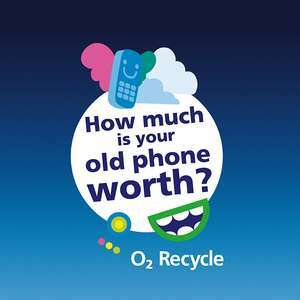 Recycle your old device with O2 this Easter and get 10% more added to your device’s value. To redeem, visit o2recycle.co.uk, search for your device and get a quote. At the checkout, add the code to get 10% more. Confirm your order and send us your device. Once we’ve received it, we’ll pay you the same day. Eligibility Criteria: The promotion is open to members of Priority who are UK residents age 16+. Offer Start and End Dates: Offer is valid from 14/03/18 – 03/04/18. Recycle your phone with o2 and they will clean it up with a nappy wipe and resell it for twice the price.. Recycle your phone with o2 and they will clean it up with a nappy wipe and …Recycle your phone with o2 and they will clean it up with a nappy wipe and resell it for twice the price..